After much debate (and some requests) I have signed up with crowdfunding service Patreon to better support future blogging efforts. You can find my Patreon page here and more information after the jump. Aeons ago, a vast meteorite crashed into central Africa, leaving behind a mountain of vibranium, the hardest and most versatile metal on the planet. The nation of Wakanda has grown up around it, developing into the most technologically-advanced nation on Earth whilst keeping its capabilities secret to avoid drawing the eye of invaders. 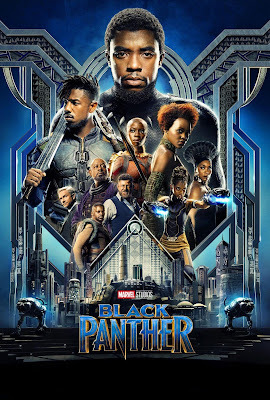 When a shipment of vibranium is stolen by noted arms dealer Ulysses Klaue, the newly-crowned King T'Challa - the Black Panther of Wakanda - sets out to capture Klaue and avenge a great crime he committed against the country years earlier. The Marvel Cinematic Universe is a smoothly-operating machine at this point, having hit a stride where it has consistently churned out well-produced movies for several years now without missing a beat. The strength of the MCU is both its over-arcing storyline extending across multiple movies (and set to culminate in this year's Avengers: Endgame) and also its growing willingness to let talented, slightly offbeat directors helm individual movies and bring a sense of individuality to them. This could be seen in the Russo Brothers' Winter Soldier (influenced by 1970s spy movies), James Gunn's Guardians of the Galaxy (influenced by 1970s space opera) and Taika Waititi's Thor: Ragnarok (influenced by glam rock and the 1980s Flash Gordon). And it certainly can be seen in Ryan Coogler's Black Panther. This film hits all the checkboxes you expect of a Marvel movie: it's colourful, it's fun, it has a slightly knowing sense of humour and it has enough of a broad appeal to keep adults and kids entertained alike. However, it also provides what arguably no Marvel movie has since The Avengers (an honourable nod at Michael Keaton's Vulture aside): a palpable sense of menace in a villain who is extremely effective. For the first part of the movie that villain is Andy Serkis's Klaue, who is dynamic and convincingly wide-eyed insane. Later on, Michael B. Jordan's Killmonger rises to the fore and Jordan plays the character with a nonchalant confidence that boils over into simmering rage. It's a powerful performance. Jordan has been on a lot of people's radars ever since his memorable turn as the tragic Wallace in the first season of The Wire, but this film takes him to another level. Most impressively, Killmonger becomes a villain who is clearly in the wrong, but whose motives are clearly understandable and who has human moments of weakness and doubt that make him a more interesting enemy. In terms of performances, the film overflows with great ones. Lupita Nyong'yo and The Walking Dead's Danai Gurira are both outstanding as warriors defending Wakanda (one from behind the scenes and one with a massive spear), with Letitia Wright stealing every scene she's in as bonkers Wakandan inventor Shuri (think of Tony Stark, but young, female and less prone to tedious angst). Winston Duke has a small but highly memorable role as M'Baku, the leader of a tribe less than happy with T'Challa's ascension, and he gets the lion's share of the film's best lines. Get Out's Daniel Kaluuya is also excellent, using his thoughtful thousand-yard stare to great effect as W'Kabi, one of T'Challa's friends and allies. Angela Bassett also has a strong, elder stateswoman presence as T'Challa's mother. Martin Freeman returns from earlier Marvel films and has a surprisingly important role to play, which he lives up to nicely (and gets an intense conversation with Serkis wherein the director restrains himself from any Hobbit references). It would be wrong to call his performance disappointing, but Chadwick Boseman gets a little lost in the mix at times, surrounded by far more interesting characters with senses of humour, or righteous honour, or dread-inspiring menace. Boseman's T'Challa gets to be a stoic straight man to most of the rest of the cast, which is fine but does leave Black Panther feeling like one of the less-interesting things about a film called Black Panther. However, he does rally in the film's final act when he discovers the heinous mistake his father made which risks shaming the entire nation, and has to fight to regain his family honour. Forest Whitaker also has a great performance, but only shows up for about ten minutes, making me wonder if he has some contract with Disney where gets to appear for short bursts in each one of their franchises in return for a lot of bank (see also: Rogue One). Structurally, the film is sound and keeps things ticking over with frequent changes of location and pace, and the subtle use of flashbacks throughout the film to establish character motivations. 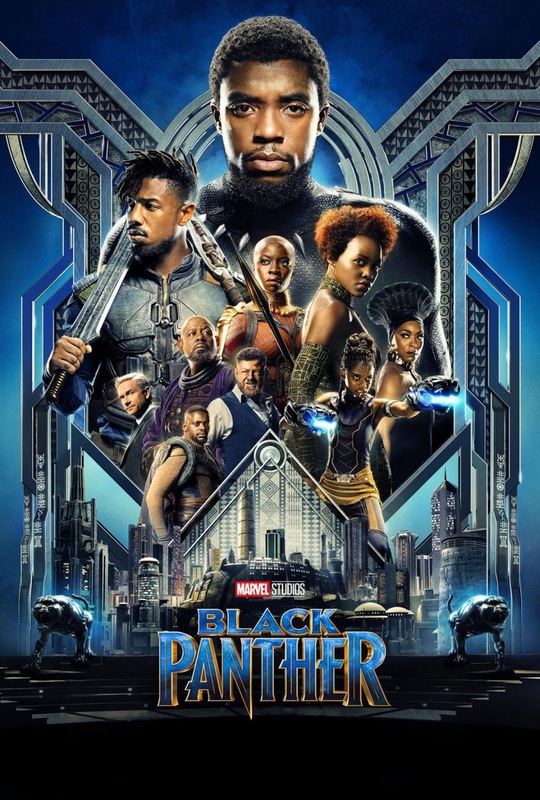 Some Marvel films trip over having too large a cast or not having enough story to fill their two hours, but Black Panther expertly juggles characters, drama, action, effects, comedic beats (of which there is a fair but, but mostly low-key which is a relief after Thor: Ragnarok) and thematic elements. The movie raises interesting questions about colonialism, imperialism and whether vengeance is better than forgiveness, but does in a restrained manner. Coogler knows this is Hollywood popcorn entertainment, not a treatise on the history of Africa and slavery, but that makes what he does do - subtly weaving these themes throughout the film without slamming the audience over the head with them - more impressive. The film ends in a big flashy fight and the usual overreliance on CGI, although at least this time the geography of the fighting and the use of the effects is understandable. The final battle is also kept fairly breezy as these things go (learning from Guardians of the Galaxy Vol. 2's interminably never-ending effects overload, perhaps) and there's some nice foreshadowing of the stakes in the final fight earlier in the movie. Also as usual, we get some mid-credit "secret" scenes. There's only two and both are fairly disposable, although the second at least nods at the wider MCU we know Wakanda is going to collide with in Infinity War. Black Panther (****½) is one of the stronger entries in the Marvel Cinematic Universe. It adheres to the Marvel formula, but it does so in a much more successful manner than most of the movies in the franchise, as well as a more serious one than some of the more recent films. It's a film that's unrelentingly entertaining, action-packed and layers its story of vengeance, family betrayal, politics and blood like an Afrofuturist take on Game of Thrones. It's fun and finds time between the explosions to say some interesting things. Note: the original version of this review was published in 2018. Thor, God of Thunder, returns home to Asgard with a mighty artefact and discovers that things are...amiss. Soon he finds himself imprisoned on the remote planet Sakaar along with his redoubtable half-brother Loki, pitched into fighting in a gladiatorial arena for the amusement of millions. Back on Asgard, the realm (and its eight fellows) stand in mortal peril due to the return of Hela, Goddess of Death. Thor must find a way of escaping Sakaar, returning home and averting Ragnarok, the end of everything. By 2017 the Marvel Cinematic Universe had become a smooth conveyor belt churning out superhero action blockbusters, now up to three a year, reliable as clockwork. 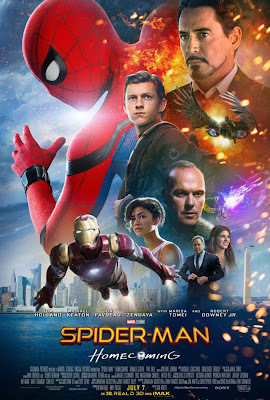 If it's a tribute to the powers behind this multi-billion dollar mega-franchise that they've never produced a truly awful movie (even Iron Man 2 and Thor: The Dark World are watchable, if mediocre), it's also damning with faint praise to realise they've never produced a single stone-cold for-the-ages classic either. After seventeen movies up to this point you'd expect at least one of them to be a genuine stand-out, but nope (The Winter Soldier and Guardians of the Galaxy Vol. 1 come close but ultimately no cigar). There is a Disney-Marvel formula and whenever they've hired a director who seemed in danger of putting too much of their own spin on things or adopting a more experimental approach, that director has gotten with the programme or been fired (such as the fate of Edgar Wright on Ant-Man). From that perspective, Marvel's decision to hire New Zealand director Taika Waititi for the third Thor movie seemed a bit crazy. Waititi is a free-wheeling comic genius, the director of movies such as Boy, Hunt for the Wilderpeople and, most hilariously, What We Do in the Shadows, a crowd-funded Spinal Tap with vampires. His approach to his films relies heavily on actor improvisation and experimenting with different ideas on set, ideas which seem antithetical to a $180 million CGI action fest where every scene is storyboarded to within an inch of its life a year before shooting starts. Indeed, when Phil Lord and Christopher Miller adopted the same approach to the Han Solo Star Wars prequel movie, they were fired. Watching Thor: Ragnarok, it's clear that Marvel stuck with Waititi for the simple reason that, as much as Waititi had made his mark on this film, Marvel had also made its mark on Waititi: this is very much a Standard Marvel Movie with the same basic structure and story beats that we've seen sixteen times before, just with a couple more genital jokes than usual that get thrown into the mix. Structurally, the film is a bit of a mess. Typically, a film's opening will establish the premise and backstory of what's going on, either by itself or through entertaining plot action. Ragnarok's opening takes in a planet that looks like Hell with scenes set in Norway, New York and on Asgard and a completely pointless Doctor Strange cameo before the story really even kicks in. Once it does, we follow two plot strands, one with Team Thor on the planet Sakaar trying to escape from the Grandmaster, and another on Asgard as it comes under attack from Hela and the established B-cast from the previous movie (led by Idris Elba's Heimdall) try to hold her off until Thor gets his act together. This would be fine, except that the Sakaar interlude goes on way too long, leaving the resolution on Asgard to take place with almost indecent haste. 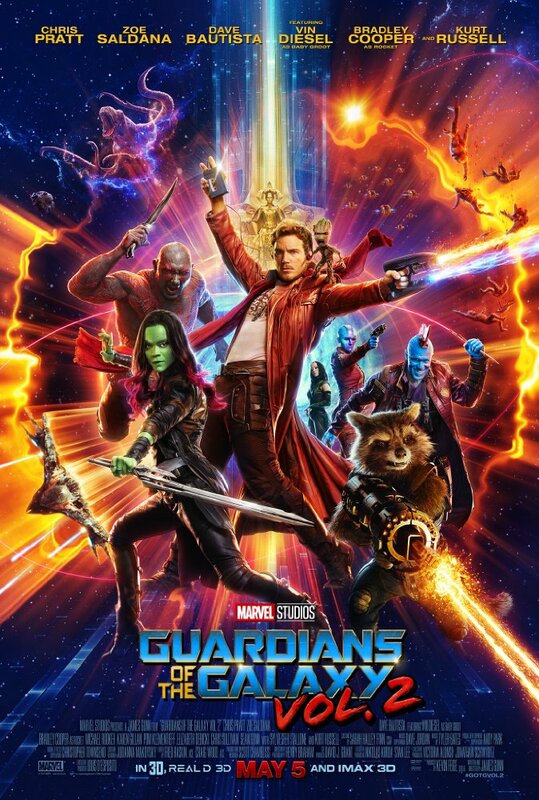 There are, however, some strong benefits to this approach, most notably that the ending is fast-paced, punchy and wrapped up with a minimum of fuss, which is a bit of a relief from way too many recent big movies with huge, CG-drenched endings that go on forever (hi, Guardians of the Galaxy Vol. 2). The downside is that the Sakaar sequence is a bit interminable. Jeff Goldblum's Grandmaster is funny, but he's never really a serious threat, and the apparently "serious" character stuff as Hulk undergoes some much-needed character evolution (if you're wondering why and how he can talk rather than just being an irrational force of destruction, that gets explained) could have been wrapped up much more quickly than is the case. As usual Tom Hiddleston steals the show as Loki and Tessa Thompson makes for a compelling new protagonist as the hard-drinking Valkyrie who, refreshingly, doesn't end up as anyone's love interest. The scenes set on Asgard are briefer, but they do feature a surprisingly excellent subplot focusing on Karl Urban as Skurge. Skurge's character arc is relatively brief and straightforward, but Urban does outstanding work with very little material, confirming his position as the single greatest supporting actor on Planet Earth at this time (get this man back as Judge Dredd, stat!). Of course, it goes without saying that Cate Blanchett relishes her performance as the evil Hela, chewing scenery and unleashing villainous dialogue with absolute conviction. The film has developed a reputation as a comedy, even the first outright comedy in the Marvel Cinematic Universe which is a bit of an exaggeration. There's a lot of funny lines and some characters like Korg (a CG rock monster voiced by Waititi himself) are pure comic relief, but there's also quite a lot of death and destruction (the film is called Ragnarok, after all) and a few grim moments. The comedy stuff is fine and there's a few belly laughs here and there, but the trailers definitely give away almost all of the funniest moments which is a bit of a disappointment. One of the biggest successes in the movie is how Waititi handles effects. He's never handled a CG extravaganza on this scale before and his grasp of visual imagery is striking. Some of the scenes, particularly a flashback to a charge of horse-mounted Valkyrie warriors, are beautifully composed. There's a hell of a lot of moments in the film which would make for great paintings or desktop wallpapers. 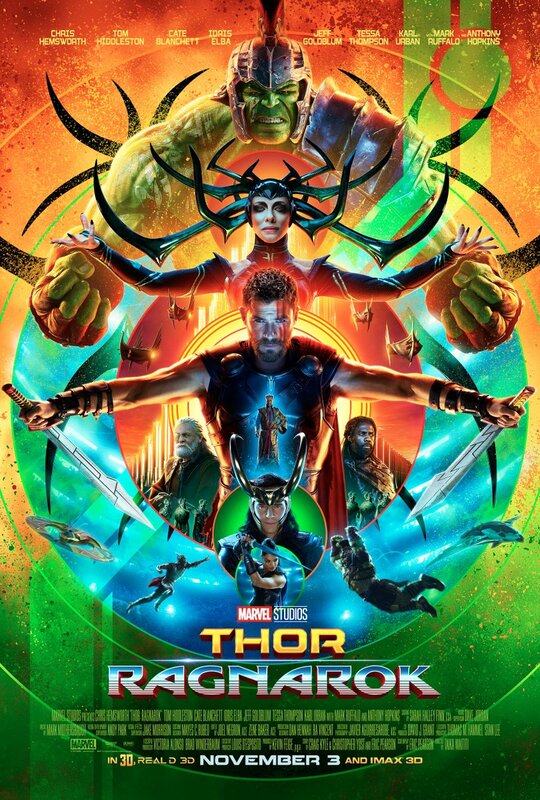 Ultimately, Thor: Ragnarok (****) emerges as the best Thor movie to date and the funniest film in the MCU, but it's also dramatically challenged, coming perilously close on occasion to reducing Thor to pure comic relief. Although Thor has an comical side to him, it should never be allowed to overwhelm the grandiose, Shakespearean aspects of his character. Waititi does skirt that at times, but just about manages to hold it together so Thor emerges as the mighty hero he's always been teased as in the previous movies. Thor: Ragnarok is fun, funny, well-acted and has some breathtaking visual moments, but its pacing and structure feels a bit off: the film has a messy opening and saggy middle before it pulls things together for a strong, brisk finale that sets up The Avengers: Infinity War. Note: the original version of this review was published in 2017. Peter Parker is a New York school kid who has been bitten by a radioactive spider, developed powers and been recruited by Tony Stark to help out the Avengers with an internal dispute. Promised big things by Stark, Parker is soon dumped back in Queens with a badass spider suit but not much clue about what to do. Investigating an ATM robbery gone wrong, Parker uncovers evidence of a criminal gang selling weapons on the black market. With Stark busy with other projects, it falls to Parker - and Spider-Man - to tackle this threat on the streets of the city. On release, it was easy to be wary of Homecoming. Oh yay, a new Spider-Man movie. We'd had six Spider-Man movies in fifteen years - and sixteen Marvel movies in nine years - and this was the third Spider-Man reboot in that time, which felt a bit extreme. If there was ever a superhero movie which seemed utterly redundant before it even launched, it was this one. Perhaps perversely, the film refuses to follow expectations and fall flat on its face. Instead, Spider-Man: Homecoming was, on release, comfortably the best Spider-Man movie ever made (a title which came into dispute more quickly than expected) and is one of the better Marvel movies. A mixture of the impressive quality of the films that came after it and the high quality of Into the Spider-Verse means that Homecoming has gotten lost a little in the mix, but on a review it reasserts itself as a very strong superhero movie. Spider-Man: Homecoming is made with a surprisingly light touch, it blends genuine laughs with a superbly-executed plot twist and, in Tom Holland, it finally finds an actor who can play both Spider-Man and Peter Parker excellently: Tobey Maguire was a fine Peter Parker but a subdued Spider-Man, whilst Andrew Garfield was a great Spider-Man but a firmly unconvincing (and way too old) Parker. Holland straddles both worlds, giving us the wise-cracking Spider-Man that cinema has been looking for but also playing the awkward, shy, teenage Parker to the hilt. The film also gives us - in the Marvel Cinematic Universe, for the first time since Tom Hiddleston's Loki - a genuinely outstanding villain. Michael Keaton plays Adrian Toomes as an ordinary hard worker who snaps for a pretty damn good reason: being driven out of business as the head of a clean-up crew picking up the debris of the Avengers' big fight scenes after Tony Stark muscles in (and thus getting paid to clean up the mess he himself is responsible for). Toomes becomes an arms dealer, selling alien equipment (or left-over bits of Ultron) for profit, but it takes quite a while for himself to cross the line into more overt, lethal villainy and become the Vulture, one of Spider-Man's more familiar enemies. Keaton also gets the best scene in the film, a conversation in a car in which he very gradually pieces together clues to uncover Spider-Man's true identity, and it's a masterclass of acting and writing. Some reviewers have drawn comparisons between the movie and the work of John Hughes, which is a bit of an exaggeration: the move nods to high school/teenage issues but doesn't spend huge amounts of time in that milieu. Instead, Parker's struggles to impress Stark and the Avengers, and vindicate himself as a hero (at one point near-breaking down as he claims - somewhat histrionically - that he has nothing else going on in his life), take centre stage, with nods at his love life, which is more hypothetical than real. However, the high school scenes are quite funny and there's some nice inversion of tropes. An attempt by classmate Flash Thompson to embarrass and bully Parker falls flat because Parker simply doesn't give him the time of day, whilst Ned (a memorable debut performance by Jacob Batalon), Parker's best friend, is quite funny in his quest to be Parker's "chair man" who helps him out from behind the scenes. The biggest weakness is the typical Marvel one: a slightly muddled concluding fight sequence that is overly reliant on CGI and also a lot of CG stunts and moves which feel out of keeping with the more grounded, realistic feeling the movie is going for elsewhere. This is particularly notable as the film avoids replicating the soaring but obviously fake CG NYC transition scenes from the Sam Raimi movies (highlighting that Parker isn't there yet in his skill set), but in the finale has no trouble suddenly throwing the character around a ludicrously fake CG situation that should have kill him five times over. If you can overlook that brief dip in form, Spider-Man: Homecoming (****½) emerges as a terrific slice of entertaining, being funny, emotional and well-judged on just about every level. Renowned Tolkien scholar Tom Shippey and top Tolkien artist John Howe have signed on to Amazon's Lord of the Rings prequel series. Shippey is the author of The Road to Middle-earth (1982), a relatively early and influential work of Tolkien scholarship, and has collaborated with Harry Harrison on science fiction short stories and a novel trilogy. Shippey is also a noted retired professor of Middle and Old English literature, and taught and worked at Oxford. He met Tolkien shortly before the author's death. Shippey is noted particular for his view that Tolkien was a "traumatised war author" whose experiences in WWI shaped his outlook and fiction. Shippey worked on Peter Jackson's Lord of the Rings movie trilogy by advising on the lore and dialects of the fictional languages. Shippey's work was quoted by Christopher Tolkien in his History of Middle-earth series. John Howe is a famed Tolkien artist, responsible for illustrating many of Tolkien's works over the years. Howe is one of the unofficial trifecta of top Tolkien artists, along with Alan Lee and Ted Nasmith. 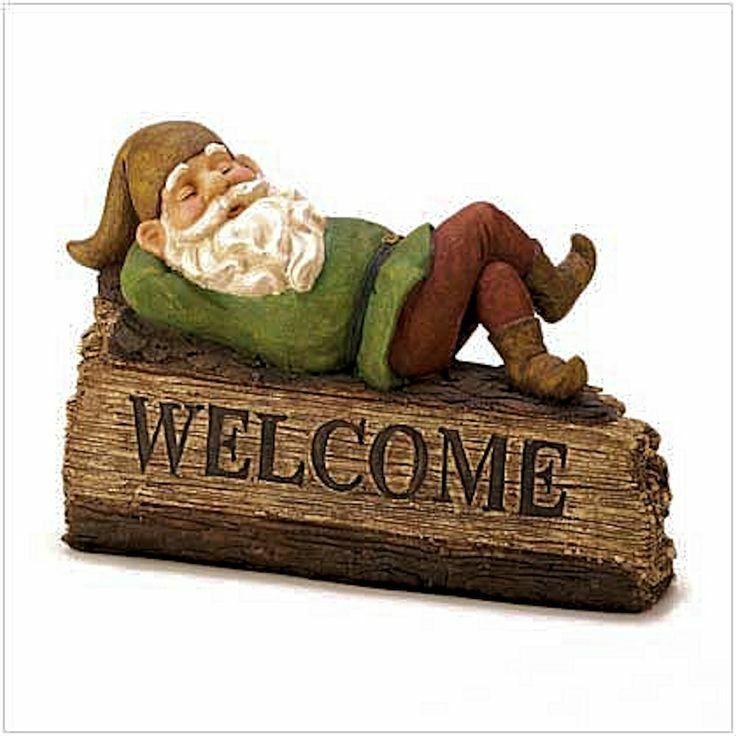 He has also illustrated the works of many other major fantasy authors, including Jack Vance, George R.R. Martin and Robin Hobb. Howe worked with Alan Lee as an artist on the Lord of the Rings movie trilogy, with several key designs (most notably the tower of Orthanc in Isengard) based directly on his earlier Tolkien illustrations. Howe is also a keen military reenactor, with specialised knowledge of armour design and construction, in which capacity he also worked on the movie trilogy. 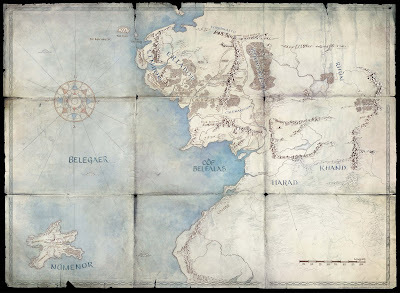 Shippey and Howe's work has already been seen by fans: Howe drew the maps Amazon used in their viral marketing campaign in February and March this year, culminating in the revelation that the first season (at least) will be set in the Second Age of Middle-earth, whilst Shippey advised on lore and fine details. In particular, it is believed that Shippey provided information on how the coastlines of Middle-earth changed as a result of the sinking of Numenor (information which was written by Tolkien, but buried very deep in his notes). Their role in the full series will presumably be in the field of continuing to advise on the lore, and hopefully in Howe's case contribute some concept artwork. The Wheel of Time TV show has hired its casting director, indicating that the casting process for the show is now underway. The casting director is Kelly Valentine, who has a long history in the business as a casting director and assistant, having begun her career in 2005. Her credits as casting director include Ironclad, Law & Order: UK, Fleabag, Humans, SS-GB, Broadchurch, Episodes and The Last Kingdom. Valentine's casting site can be found here. 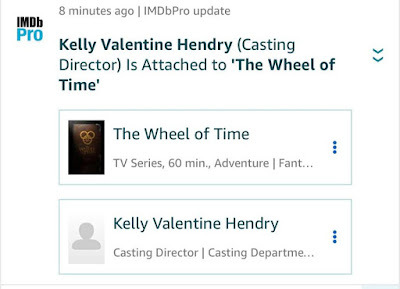 The Wheel of Time starts shooting in September 2019 in Prague. It will likely debut on Amazon Prime in late 2020 or early 2021. Some months after their triumph over the renegade Kree warlord Ronan, the Guardians of the Galaxy have been hired by the Sovereign to defend their homeworld from a ravaging interdimensional monster. Unfortunately, Rocket manages to offend the Sovereign, leading to a sequence of improbable events culminating in Peter Quill finally meeting his father. Meanwhile, the Ravager faction led by Yondu has been outcast by their fellows for Yondu's dishonourable actions and he seeks to regain his honour in their eyes...which means tracking down and defeating the Guardians. Guardians of the Galaxy is one of the Marvel Cinematic Universe's more laidback and fun movies. Free of the weighty continuity built up by the Earth-bound movies, it felt fresh and inventive. With a top soundtrack, some excellent humour and some great performances, it emerged as perhaps not the most dramatically satisfying Marvel movie, but certainly the most fun. The second movie sees returning director James Gunn attempt a tricky balancing act of giving the audience more of the same - comedy, action, space battles, quips - and also doing something new that keeps the freshness of the first movie going. It can't quite stretch to do all of these things well and it stumbles a little more than its forebear, but it's still a brave attempt to do something more interesting than a by-the-numbers sequel. The movie is certainly funnier. Baby Groot gets some great moments but it's Drax and new character Mantis, by themselves and as an unlikely double-act, who emerge with the best material. Yondu's Ravagers also get a bit more definition and the "tough"-sounding name of one of their number becomes a recurring gag throughout the movie. Chris Pratt employs his considerable comic talents better as well, such as his ongoing attempts to explain the dubious premises of mid-1980s action TV shows to his baffled compatriots. More importantly, the film explores character better than the first movie. We find out why Peter doesn't just go home to Earth, more of what makes Gamora and Nebula tick, and more of what drives Yondu, who emerges as a more complex figure in this movie than the previous one. 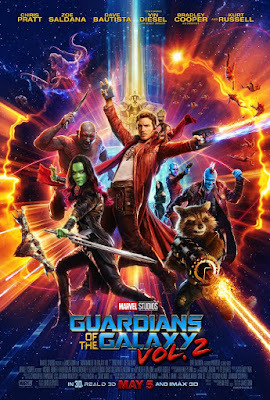 The film doesn't break new ground - the idea that the Guardians are a family and that's why they hang out even when they argue is hardly revelatory - but it does offer more food for thought about these people in the calm breaks between explosions. The film does have a fair few explosions, and if the movie does have a weakness it is the protracted climax. The first movie had a long final battle, but that battle was divided into several strands with the goals, plans and motivations of everyone involved clear. The second movie's climax goes on too long, gets a little silly in places and risks being lost in concussive CGI overload. It's nowhere near as bad as, say, a Michael Bay Transformers film, but it does risk losing the audience's interest. Fortunately the climactic moment of the battle may also be the film's funniest moment, and the movie's actual ending is actually quite decent, if perhaps drawing a bit too deep on sentiment. Remarkably, Guardians of the Galaxy, Vol. 2 does roll back a little on the scale from the first film. There's no Thanos, no Infinity Stones (although both rate mentions) and far fewer tie-ins with the rest of the Marvel Cinematic Universe than the original movie. Instead, Vol. 2 is more interested in setting up the rest of the Marvel Cosmic Universe. The first movie teased it, but the second film opens up on the wider SF stylings of the setting, with more character cameos from obscure 1970s Marvel Comics then you can shake a stick at. One revelatory moment will have old-skool Marvel fans grinning from ear to ear, especially if it leads into the spin-off movie Marvel reportedly are very interested in making, whilst the apparent revelation of the villain for Vol. 3 will have fans nodding in approval. Guardians of the Galaxy, Vol. 2 (****) is a worthy successor to the original film. In trying to do more of the same and be different it perhaps bites off a little more than it can chew and the prolonged climax is messier and less interesting than the first movie's, but it wins those points back with more interesting character work, better laughs, yet more quotable dialogue, some great performances and another solid soundtrack (and the well-judged decision to do something different with setting up Vol. 3's). Oh, and it has maybe the most amusing credits Marvel has ever done (I mean the actual credits, not the mandatory during and post-credits sequences, which this movie goes overboard on). Note: I originally reviewed this film in 2017. Stephen Strange is one of the best neurosurgeons in the world, until a car accident sees his hands crushed. Strange tries everything to heal his injury and eventually, broke and desperate, he travels to Kathmandu. In a sanctum called Kamar-Taj he meets the Ancient One, a sorcerer who defends Earth from mystical and spiritual threats. Extremely reluctantly, she agrees to take on Strange as a student. He proves a quick servant, but his hunger for knowledge raises awkward memories of a previous student, Kaecilius, who turned to evil. When Kaecilius mounts a surprise attack, it is left to the inexperienced Strange to face him. Doctor Strange is the fourteenth film in the Marvel Cinematic Universe and has one of the less-enviable tasks in the canon: it has to introduce the entire mystical, spiritual and magical side of the Marvel Comics universe to the movies, which have so far explained everything through hyper-advanced science. But by this point the MCU is absolutely over-brimming with confidence and Doctor Strange struts onto screen with almost as much swagger as the title character when he is introduced performing brain surgery to 1970s pop music (because that's just how rad he is). In fact, Doctor Strange is a near-pitch-perfect popcorn movie. It knows it's not an Avengers, Civil War or even a Guardians of the Galaxy which is going to drag in massive crowds through bombast and slick team banter, and, like last year's similarly fun and chilled Ant-Man, it sets out to have a good time (although not quite as disposably, as this film has a lot more impact on the wider MCU). It establishes Strange - played with the requisite charisma and arrogance by Benedict Cumberbatch - as brilliant but consumed by hubris. It has fun casting him down to his lowest ebb, getting him to Nepal and into a series of training montages with Tilda Swinton and Chiwetel Ejiofor before he is ready to go fight villain Mads Mikkelsen in a mind-bending series of fights in alternate realities that out-Inception Inception about twenty times over. For a movie dealing in the strange and mystical, the plot is surprisingly light and straightforward, the fight sequences are well-staged and the presentation of magic as a tangible force of nature is both different and well-done (and is actually slightly reminiscent of how it was handled in the WarCraft movie). At under two hours the film doesn't outstay its welcome and it handles its cliches with charm. The effects are also splendid: the Inception-aping scenes of New York folding in on itself are amazing, but there's also a brilliant homage to 2001: A Space Odyssey and the film's crown jewel, a fight sequence in a street where time is flowing backwards, with people un-dying and things un-exploding all around the characters. It's a brilliant, clever and original visual effect. The film also holds back the best for the ending. If the Marvel movies have had a key weakness, it's been that they always get resolved in a morass of punching, explosions and CGI of varying quality. That's fine, but after thirteen previous movies that was starting to get a bit old. Doctor Strange wrong-foots the audience by presenting them with all the set-up for one hell of a massive battle, but then throws things for a loop and resolves the story in a completely different way. I wanted to stand up and applaud Marvel for finally having the courage to end one of their movies in a clever and cunning way that avoids lunatic ultraviolence and massive civilian casualties. There are some drawbacks. 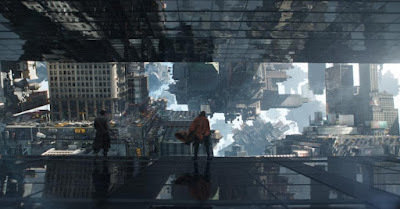 There's perhaps a bit too much of Inception in the CG sequences, which start to get a little wearying towards the end of the film, and Mads Mikkelsen's villain is never really developed in an interesting manner (the perennial weakness of most of the Marvel movies to date), although Mikkelsen himself gives a typically charismatic performance. 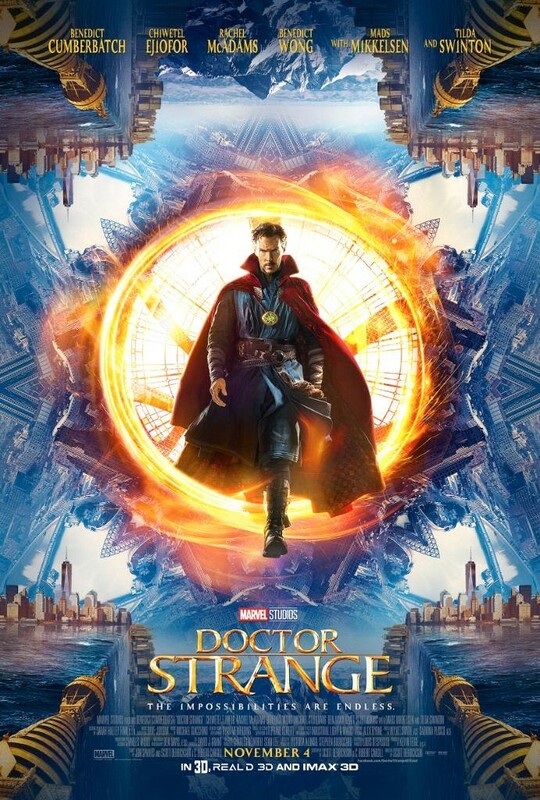 But overall Doctor Strange (****) is a very solid slice of confident, popcorn entertainment, but which also has the confidence to try and do things a bit differently to the Marvel norm, and sets things up well for later movies in the series. Note: this review originally appeared in 2016. In the aftermath of the fall of SHIELD and the battle against Ultron, which destroyed a large chunk of the nation of Sokovia, trust in superheroes is at an all-time low. The final straw is a battle against Hydra agents in Lagos, in which Scarlet Witch accidentally destroys an office building (whilst trying to prevent a much larger bloodbath). The United Nations sign the Sokovia Accords, placing superheroes under severe restrictions in how they can be deployed and when. Iron Man and Captain America find themselves on different sides of the resulting argument. When Steve Rogers' old comrade (and former brainwashed Hydra agent) Bucky Barnes, the Winter Soldier, is implicated in a fresh atrocity, the Avengers find themselves split and at war among themselves. 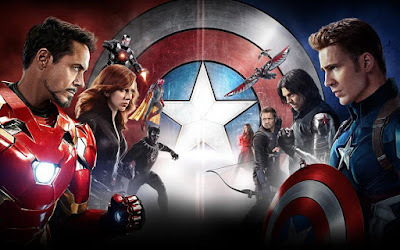 Civil War is marketed as a Captain America movie, following on from The First Avenger and The Winter Soldier, but in reality it's more like The Avengers 2.5, picking up on important plot threads from Age of Ultron and setting the scene for Infinity War. As such it's one of the more continuity-heavy movies in the Marvel Cinematic Universe and one of the (surprising) few where an intimate knowledge of the previous movies in the MCU is a definite asset. Civil War is very much two movies. On the one hand, it's an all-action, effects-heavy extravaganza with lots of explosions, fights and chases. On the other, it's a surprisingly effective study of the law versus free will, of security versus liberty and of responsibility and consequence. That the same team made The Winter Soldier, possibly the best MCU movie for likewise tackling slightly more serious material than some of the other films, is unsurprising and it's good to see a lot of plot points from that movie picked up and advanced. In particular, the Winter Soldier storyline is arguably more central to Civil War than it was to The Winter Soldier itself. It was around this point in time that the MCU transformed itself into a well-oiled, purring machine, pumping out reliably entertaining blockbusters three times a year. The Russo Brothers walk a tightrope with this movie, combining crowd-pleasing superhero antics with the opportunity to study the ideas of liberty and responsibility. The problem is that they can't quite explore this theme in as much depth as they want, due to the movie having a lot of other business it needs to get done. This includes introducing both Spider-Man and Black Panther ahead of their respective first solo movies, bringing Ant-Man into the fold of the other characters and resolving the long-standing mystery of the fate of Tony Stark's parents. Still, if the film can't fully engage with the theme, it at least pays it more than bare lip service, with the disagreement between the two sides being so fundamental that it can't be overcome with a nice chat. In one of the MCU's finest twists, Tony and Steve do eventually come to an understanding, only for a fresh revelation to drop a hand grenade on the situation. In this sense the film doesn't pull its punches, which would have been an easy cop out. The actors are all on fine form, with Tom Holland particularly impressing as the latest incarnation of Peter Parker, and we even get a good antagonist! Daniel Bruhl is a phenomenally talented actor, and it helps that his character is perhaps less of a standard villain than a catalyst for the already-existing tensions in the Avengers to explode. Captain America: Civil War (****) is a little bit too overstuffed to be the finest movie in the MCU, but it is up there as one of the stronger entries in the franchise. It's an effective ensemble piece with a twisting, unpredictable storyline, some great set pieces and a surprisingly downbeat ending. The moonshadow elf assassin Rayla has formed an unlikely alliance with Ezran and Callum, the princes of Katolis. Their mission is to take the newly-hatched Dragon Prince back home to Xadia and end the brewing war between the human and elven kingdoms, facing opposition along the way. 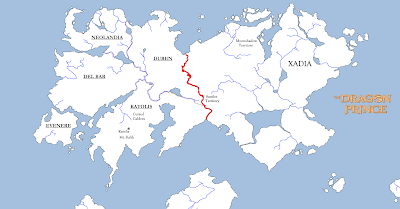 But first they have to make their way out of Katolis and find a way of crossing the river of lava that separates the nations. The first season of The Dragon Prince was highly enjoyable but let down by technical issues, particularly the decision to drop the frame rate for certain scenes to keep the budget down. Fortunately this problem has been fixed for the second season, where the animation is stronger and more fluid. More importantly, the shows steps up a gear with its story and characters. The series continues to mainly be a road trip, as Team Kayla makes its way to the border. They encounter new friends and allies along the way, along with old "enemies". The best thing about The Dragon Prince continues to be the character depth. The "good guys" make questionable and difficult decisions that sometimes backfire, and the "bad guys" (who don't consider themselves to be the bad guys) have their own, often credible motivations for what they are doing. Viren is certainly the show's antagonist, but he comes across as more ruthless than actually evil, and several times seems to retreat from doing things that would cause too much harm. Viren has a low-key but fascinating storyline in which he makes contact with an elf magician named Aaravos to learn more about magic, and it becomes clear that Aaravos may be a far more dangerous figure. This season also relaxes its attention from the Callum and Rayla relationship to focus a lot more on Ezran, who now has responsibilities after the dragon hatchling "Zym" bonds with him. Ezran's journey from a young carefree boy to a more serious prince is handled quite well, in a relaxed manner. Callum has his own journey as he tries to find a way of mastering magic without a Primal Stone, something that is supposedly impossible for a human. Of the prominent Season 1 regulars, only Rayla feels a little lost in the mix, with less to do. I must also admit to some disappointment that the entertaining duo of Ellis and Ava the three-legged wolf fail to join the heroes on their quest, although they do have some prominent moments in the opening episodes. There is also a tremendous improvement in the worldbuilding, with the other four human kingdoms named and explored (if only lightly at this stage) and more varieties of elf appearing, such as the formidable sunfire elves who can turn into powerful lava monsters. 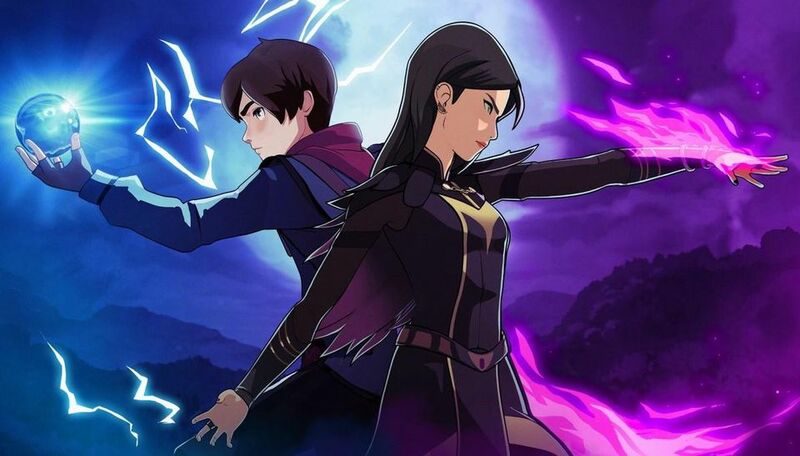 With the technical problems solved, the world being fleshed out more and the narrative being more interesting, The Dragon Prince levels up in its second season to become an even stronger series. It continues to feel like the seasons are a little too short at nine episodes apiece, but on the flipside the producers are making the episodes relatively quickly, with at least two seasons projected to come out every year. The series is available now on Netflix.